We love it to the point it is almost embarrassing how many tomato plants we fill our garden with each year. However, as tasty as they are, tomatoes often come with some problems. They are dainty little plants that have to be treated right in order to get maximum production out of them. Today I have lots to share with you about choosing tomatoes, growing tomatoes, overcoming their downfalls, and much more. After reading this, you will be ready to grow your own tomatoes. Choosing the right tomato can feel downright overwhelming at times. There are so many varieties to choose from. Better Boy: your average, larger red tomato. Cherry Tomatoes: small, red tomatoes. Yellow Tasteful Tomatoes: average size yellow tomato. Brandywine Tomatoes: a larger red tomato with streaks. Cherokee Purple: a purple, medium-sized tomato. Early Girl: a medium-sized, red tomato. 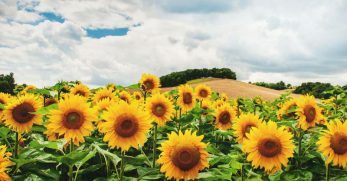 It is actually the first to produce each summer. Heirloom Red Beef Steak: my personal favorite. They are quite large and great for sandwiches. Persimmon: a larger, yellow tomato. Another favorite of mine. Roma: a little larger than a cherry tomato but still smaller than an Early Girl. Great for many recipes. That isn’t even all of them. There are other less popular varieties as well. So what should you consider when choosing your tomatoes? Well, quite a few things actually. 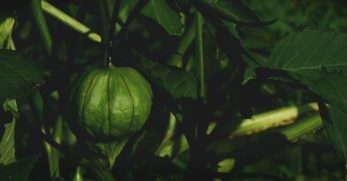 The first thing to consider is the plant's resistance to disease. You can check the label of the plant or seed packet, right next to the name of the plant you’ll see a letter in parenthesis. Diseases like verticillium will have a V in parenthesis. 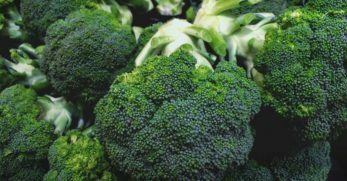 This means that the plant is resistant to that particular disease. Other common diseases you will see on packaging are Fusarium wilt (F); Root-knot Nematode (N); Tobacco Mosaic Virus (T); and Alternaria (A). I recommend doing a little research to see what soil-based diseases are most common in your area, and that should help you decide what variety of tomato plant is resistant to those. That should hopefully help you have fewer headaches this growing season. 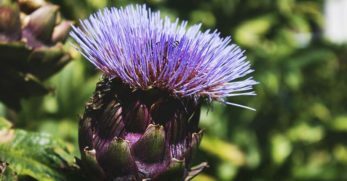 The second item to consider is the plant's growth habits. There are two types of growing patterns in tomatoes. The first is a determinate variety. 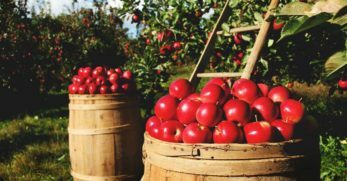 This means that the plant grows to a shorter stature, produces fruit, and then spends its time working on ripening that fruit. If you are planning on growing tomatoes in planters, then determinate varieties would be a good option for that. If not, then you might prefer an indeterminate variety. An indeterminate variety means that the plant grows taller and taller. It will keep producing and growing all the way up until frost at which point, it will die. This variety requires staking and cages to help support them. The third thing you should take into account when picking a tomato variety is the time it takes for the fruit to mature. Some tomato plants have growing seasons as short as 75 days. 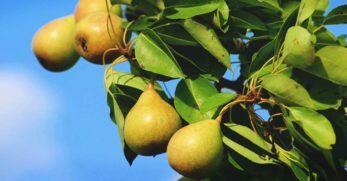 If you live in the north where summer is a little later, and winter often comes a little earlier, then you might need to choose one of these varieties so you can get the maximum amount of fruit from your plants. However, if you live in the south (like me), then you have a longer growing season. 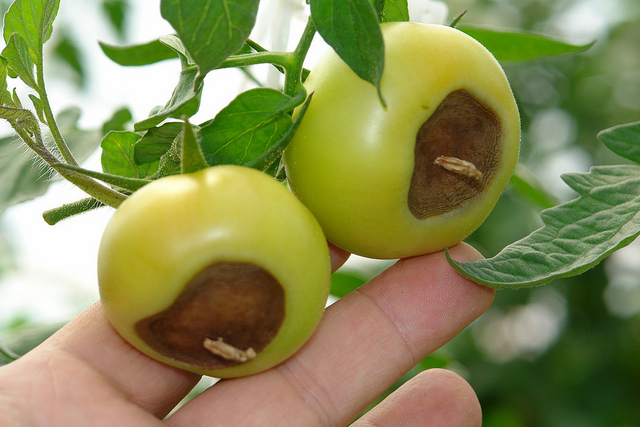 You can plant a tomato that takes up to 90 days to start producing. My favorite tomato (the Beef Steak) is one that takes up to 90 days to produce, but it is very much worth the wait. 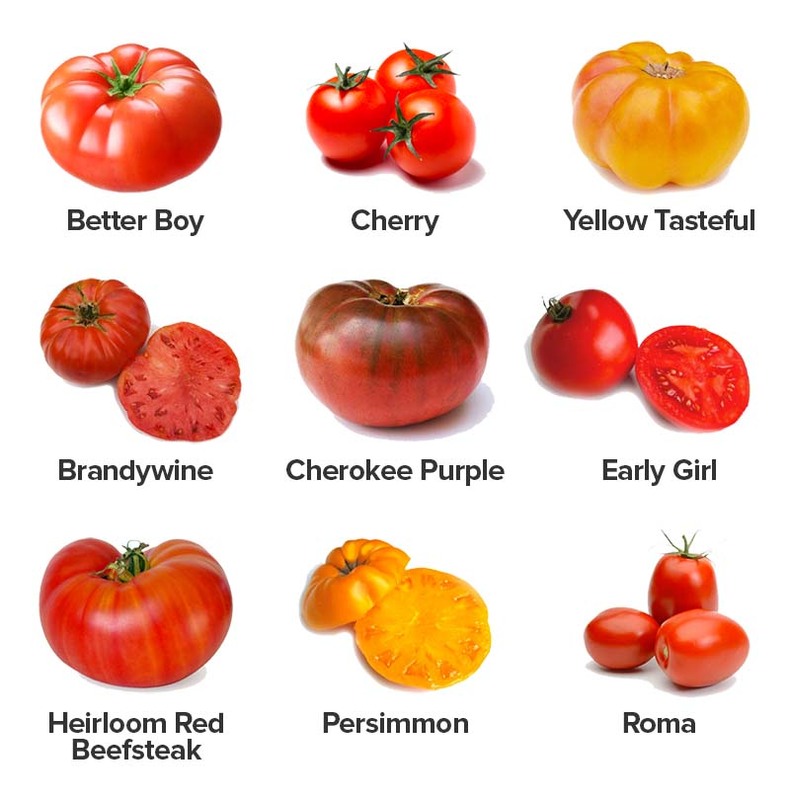 Finally, the last thing you need to take into consideration when choosing your tomato variety is the fruit characteristics. How big will the fruit get? The taste? And so on. You need to know this because if you are looking to grow tomatoes for sandwiches, then you won’t want cherry tomatoes. Instead, you’ll be looking for a beef steak. However, if you are looking to make a sauce or salsa, then a Roma or cherry tomato might work just fine for you. 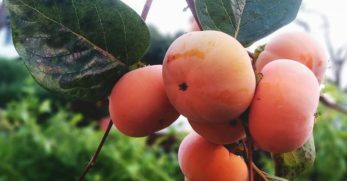 I personally love to grow Persimmon tomatoes and make delicious yellow tomato sauce. It not only tastes good but it looks gorgeous in a jar too. 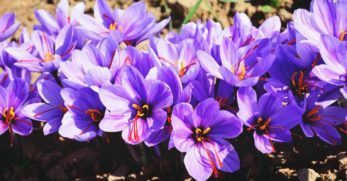 So now that you know what varieties you have to choose from and how to choose the best variety for you, let’s move on to growing these beautiful plants. Tomatoes are not complicated plants to grow. So if you are new to the growing scene, don’t fret. The first thing you need to decide is whether you want to grow your plants from seed or just buy them at the nursery. If you haven’t already started your tomato plants this year, then you will need to make a trip to your local nursery and pick up as many plants as you desire. We grow a large garden and usually grow about 2-3 flats. If you are just looking for a few to have on hand for fresh tomatoes for sandwiches, then you shouldn’t need more than a hand full of plants. But if you are looking to preserve your own tomatoes then you might want to consider growing more. Just for future reference, though, if you choose to grow your tomatoes from seed you will need to gather your seeds. 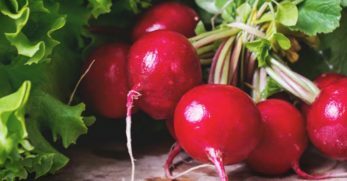 If you aren’t sure how to do that for as little money as possible, here's a great resource to get seed. Use this seed starting calculator to know exactly when you should begin growing your seeds for your exact location. Next, you will need seed starting containers. You can buy a seed starting container here, or you can use foil lasagna trays. The seed starting trays make things a little easier, but I also understand what it means to grow your own food on a tight budget so the foil trays will work too. Then you will use this seed starting mix to fill your trays and then drop 1-2 seeds in each cell of the tray. And then gently cover them up. You will also need a seed-starting shelf (like this one) and grow lights. I actually prefer shop lights because they work the same but are so much cheaper to buy and the bulbs are cheaper too. After you get the seeds in the trays and the station all set-up, be sure to sprinkle cinnamon lightly over your trays. 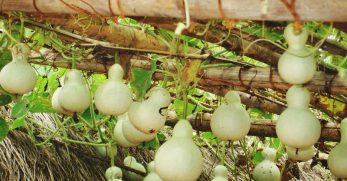 It helps deter fungus that likes to grow on top of the soil while the seeds are growing. You will need to keep a solid tray under your tray of cells. If you purchase grow trays, they will usually come as part of the set-up. If not, just get a larger foil tray to sit your other foil trays inside of. This is how you will water your seeds. Never, ever water seeds from the top during the germination process. You can mist them with a spray bottle, but I prefer just to add water to the trays and allow the seeds to soak it up from the bottom. You will know the seeds need to be watered when the tray underneath them is dry. That way you will never risk overwatering your seedlings. After your plants grow, you’ll need to allow them to harden off for at least two weeks before planting. You can do this in a greenhouse or just move them outside for longer periods of time each day. When your seeds are hardened off, and there is no sign of future frost, then you can plant them. Now, if you purchased your plants, you’ll just need to plant them after the last frost. It doesn’t take much to plant tomatoes. There are no extraordinary garden tools needed. Your basic trowel and weeder will do the trick. However, if you are like us and plant what feels like a million tomato plants, this can grow hard on your back. So this awesome planter comes in handy. The final thing that needs to be mentioned when planting tomatoes is the soil. Tomatoes do not require any special soil treatments. Tomatoes like the soil ph to be between 6.0 and 6.8. Considering neutral is 7.0 they prefer it to be a little on the acidic side. However, 6.0-6.8 is right where most other vegetables prefer it too. So if you are already growing a garden, then your soil should be just fine. If not, you can always use this handy soil tester to find out where your soil sits. And read up on how to adjust your soil. Growing tomatoes is the easy part. After they have grown and been planted the upkeep can be the challenging part. Because tomatoes are so disease prone, it is important to water from the ground and avoid sprinkler systems. You can use these soaker hoses to effectively water your plants. The most important thing is to keep dirt off of the stems of the tomatoes. By keeping their stems clean, you are lessening their chance at picking up diseases. The next tip to care for your tomatoes is if you went with an indeterminate variety you’ll need to stake or cage your tomatoes. This will help support them and keep the fruit and stems off of the ground. Again, that is super important to avoid disease and maximize your healthy produce. Need a few ideas on how to stake or cage your tomatoes? No problem. 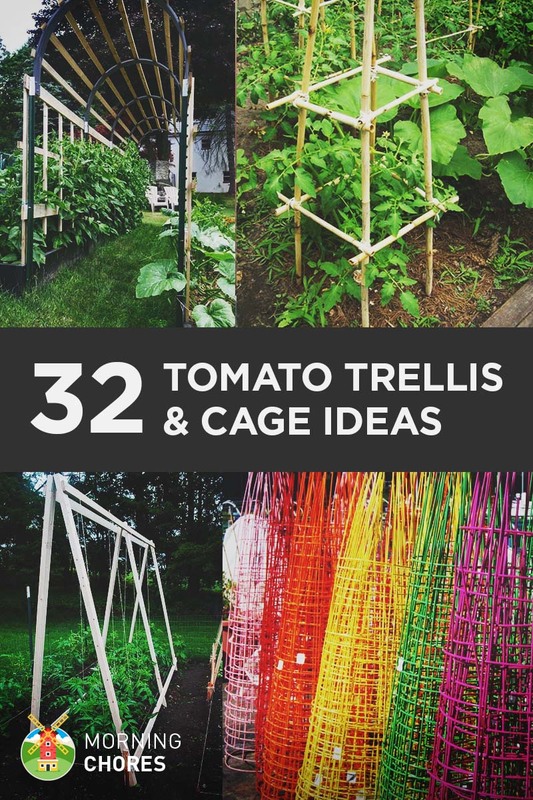 Check out this article for a bunch of unique tomato cage and trellis ideas that will add a little character to your garden as well. The final tip for caring for your tomatoes is to keep them bug-free. This can be done through pesticides. If you prefer to stick with a more natural route, you can actually make your own organic bug repellent. The way we personally deter bugs from our plants is by planting natural repellents and keeping guineas. My husband and I butted heads for years over how to keep bugs out of the garden. He wanted to use all of the harsher chemicals. (And if that is your thing, no judgment here.) I just was concerned about it because I like to know what I’m eating. So I wouldn’t be happy with that. Then I’d make a natural pesticide, and he wouldn’t be happy with that. 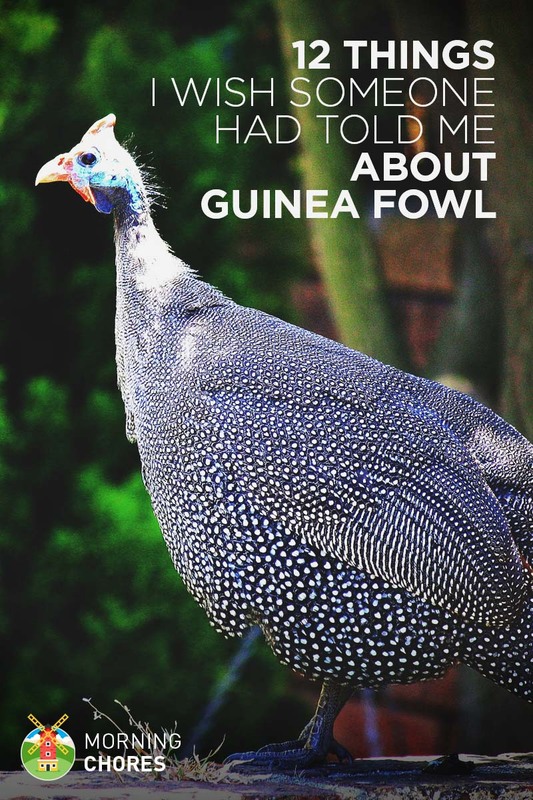 Well, finally we did our research, and we bought guineas. I have to say, they have honestly been the best investment we have ever made in our garden. They cost very little to raise and add such humor to our farm. We also planted marigolds at the end of each row of our garden to prevent pests. So far we have had great results. So if you are looking for a maintenance-free way to keep bugs out of your garden, that is our method, and I highly recommend it. 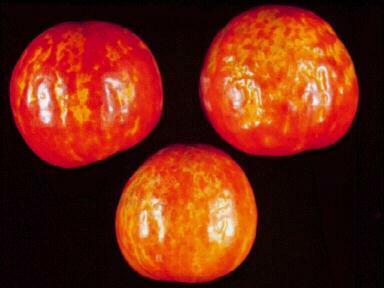 As I’ve mentioned, tomatoes biggest downfalls are the diseases they can catch. 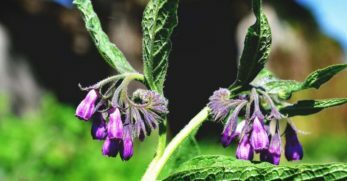 So I want to give you a heads up to some of their most common ailments and what to do if you see them happening in your garden. We have this every year. We’ve made a few changes this year, and I am hoping it will help deter it from happening. Basically, what happens is the fruit turns back on the bottom. It begins to rot from the bottom up. It is very difficult to save any fruit that has this on it. Solution: The best way to fix this problem is to make sure you fertilize as you should (about once a month.) Strike the right balance between nitrogen and calcium when fertilizing. Also, evening out soil moisture seems to play a large role in things as well. We’ve switched to soaker hoses and so far are seeing great results. You know you have this when your tomatoes become yellow and green spotted. They may even develop brown patches on them as well. Solution: If you are a smoker, be sure to wash your hands thoroughly before touching your tomato plants. Also, be sure not to plant where any infected tomato or tobacco plants were planted previously. 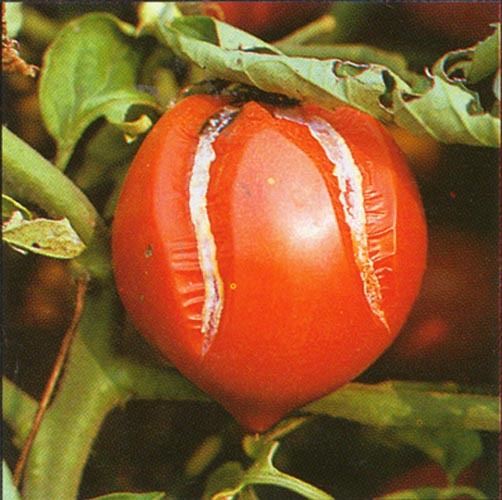 I recommend looking for a variety of tomato that is resistant to this disease because bugs can carry it as well. This is another disease we battle most years. 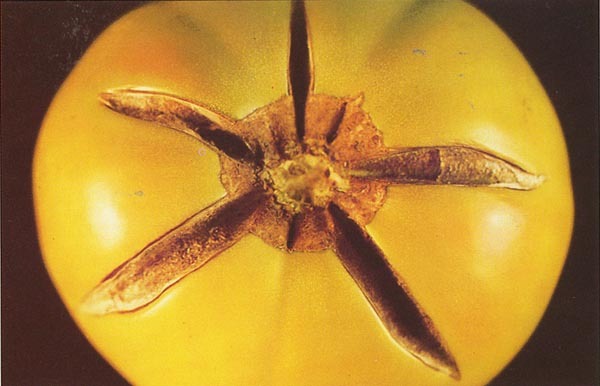 It is when the top of the tomato begins to crack and split. Some of the tomatoes are still salvageable, but it is a pain nonetheless. Solution: The best thing you can do is select varieties that don’t do this. The tough part about that is that some of the favorites are prone to this. I’ve found it common in most larger varieties. You can also prevent this by stopping large changes in moisture by mulching. We mulched our garden heavier this year so I’m hoping to not have to deal with this disease this year. This is when your tomato cracks and has white, scummy fungus coming out of it. Yes, I’ve dealt with this one too. Solution: The best thing you can do is to not wet the surface of the tomatoes by watering using soaker hoses. And be sure to stake your tomatoes properly to keep the fruit off of the soil. This is where older leaves on the tomato plant begin to turn yellow and brown. They will eventually wilt. This happens mainly during colder weather. Solution: The only way to prevent this from happening is buying a variety of plant that is resistant to it. 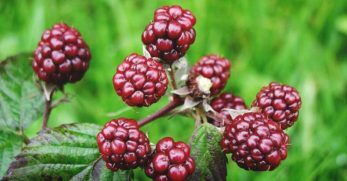 This is when the fruit appears with dark and leathery lesions on the skin near the stem. 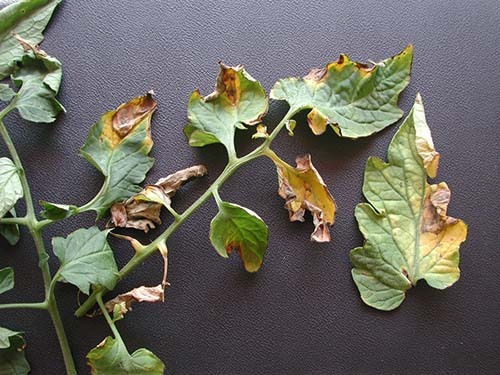 Solution: This can be prevented with fungicide spray and by rotating your crops. You know you have this when your green fruit starts to have gray sunken spots on it. Solution: Be careful not to damage your plant when pruning. Also, water by ground irrigation instead of using sprinklers. You will know you have this if you are properly feeding your plants, but they still seem sluggish. Then when you go to pull them up you will see that the root was literally tied in a knot and has multiple growths on it. Solution: The best ways to prevent this are by proper crop rotation and also to plant tomatoes with a trap crop. A common trap crop is Elbon cereal rye. It helps limit nematode production. That sounds like a lot, but really most of tomatoes issues are fixable by simply using ground irrigation, giving proper nutrition, and keeping the fruit and parts of the plant off of the ground. Companion planting is a really neat idea. 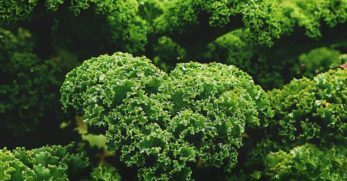 It usually gives you optimal growing space and also helps boost two crops simply by planting them next to each other. The best companion crops for tomatoes are chives, marigolds, and leaf lettuce. Chives and marigolds are great at repelling pests. We have these planted all over our property so I can attest to the fact that they work. We once had a large mosquito problem but thanks to planting a lot of marigolds, chives, and mint they are non-existent this year. Marigolds and chives are also quite easy to grow from seed. Here is how you can get started growing chives. 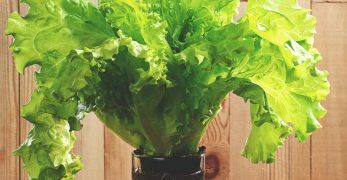 Leaf lettuce is a great companion plant for tomatoes because it serves as a living mulch. You can plant leaf lettuce all between the tomatoes, and it will help hold moisture for the plants. It is also easy to grow. All you have to do is throw the seeds into the ground and water. I have always had excellent success with leaf lettuce. 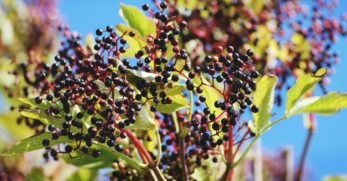 It is cold hardy and resistant to most pests too. 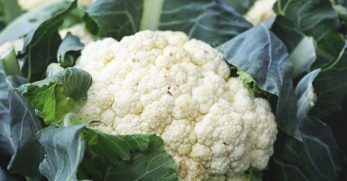 The worst companion crops for tomatoes are peppers, corn, potatoes, cabbage, cauliflower, and broccoli. Planting pepper plants and tomatoes together is a big negative. The reason is cross-pollination. It will completely ruin the taste of your tomatoes. So be sure you always put a few rows between them if planting them in the same garden. Corn is a bad friend to tomatoes because they attract the same pests. There is a bug called a fruit worm to the tomato and an earworm to the corn. The last thing you need is two plants drawing the same pest near one another. Potatoes aren’t a good friend to tomatoes either. The reason is that potatoes cultivate early and late blight fungus. That was one of the diseases mentioned in the section above, and the only solution is to spray your plants with anti-fungal spray. So it is just best to avoid those problems and not plant those two plants near one another. Finally, cabbage, cauliflower, and broccoli. They all fall under the same category. You don’t want to plant any of these plants near your tomatoes because it inhibits them to grow. Our garden is full of cabbage and kale right now. They are huge so tomatoes feel cramped next to them. Hopefully, this will help give you some direction on how to lay out your garden this year so you can have the best tomato production possible. Knowing when to harvest and how to store your tomatoes once harvested is a must. I like to harvest tomatoes when they are red but not overly ripe unless I’m going to eat them immediately. The reason I like them red but not too ripe is that they will turn to mush by the time I’m ready to use them. 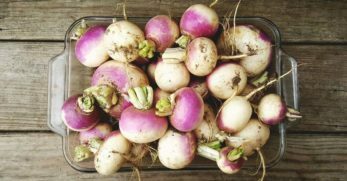 To harvest, just pull them from the plant when you think they are at the right stage of ripeness to withstand a few days of going uneaten. Once you bring them into the house, you’ll need to go ahead and wipe the dirt off of them. Then store them in a cool, dry, and darker location so they won’t ripen too fast or mold either. I usually store mine on a corner kitchen shelf upside down where their stem once was. I do this because a tomato is usually less ripe at the top than the bottom. Letting them rest on the less ripe and firmer space helps stop the molding process of the tomato. You can store your tomatoes in the fridge if you wish. But I personally don’t like their taste after refrigeration, so I don’t. But that is a personal preference and totally up to you. If you need to store them for longer than a few days then refrigeration is a great option. If you’d like to cut up your tomatoes in advance, be sure only to cut what you’ll eat in less than a week’s time. Store them in airtight containers or Ziploc bags. They should be refrigerated once sliced. Well, harvesting and storing tomatoes is probably the easiest part of growing tomatoes. It is the tastiest part too. One additional tip I can offer you when growing tomatoes is powdered milk. You are probably thinking I’ve really lost my mind now, but I promise I haven’t. One year we had a really bad go with tomatoes. At the time, we were still using sprinklers to water our garden and didn’t find out until the following year what a huge no-no that was. So I did tons of research and found that if you add powdered milk to the base of your plant that it would help fight disease. That one little tip helped us nurse our sick plants back to health, and we still got quite the harvest from them. I’ve learned since it is better to add 1 tablespoon of powdered milk to the base of each plant during the early part of the season prior to problems developing. Powdered milk helps tomatoes fight viruses and disease. Think of it as a vaccination for them. You can find powdered milk in your grocery baking aisle or purchase it here. Another tip that I’ve heard works, but it isn’t one I use personally, is adding a teaspoon of Epsom salt to the base of each plant and your tomatoes will taste much sweeter. I personally prefer the acidity of the tomato, so I don’t want it to be super sweet, that's why I don’t do this. But I know many people that do, and they claim it works. Want to give this a try but don’t have Epsom salt? No worries. It is very inexpensive and can be found in the medicine aisle at most supermarkets. Or you can buy it online. So after you’ve put in all of the hard work of growing your tomatoes, wouldn’t you like a few ways to enjoy them? 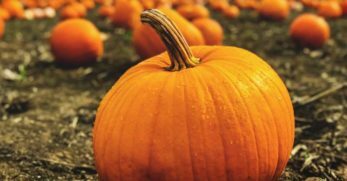 I figured you would so here are some awesome recipes that will help you to enjoy your harvest. Fresh tomato sauce tastes excellent on some fresh-made pasta. Not to mention it makes a homemade meal a much faster and tastier option. 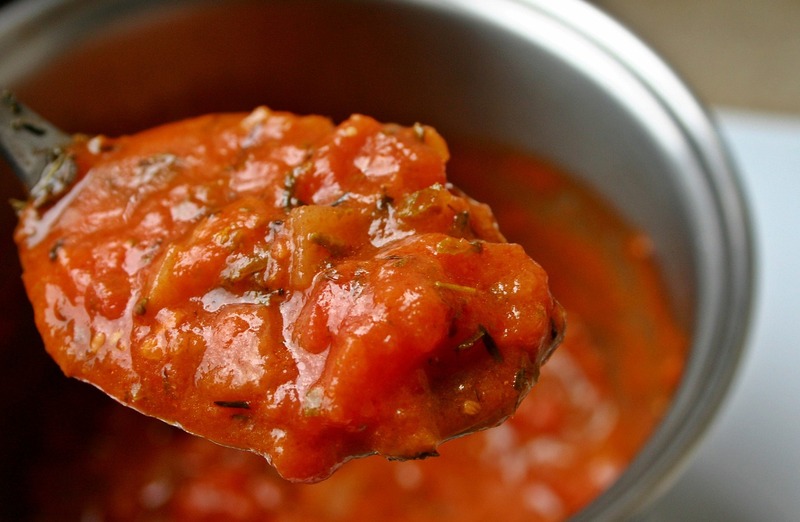 Here is a fantastic tomato sauce recipe that will be sure to satisfy your taste buds. My family and I are salsa people. We love it! It is great on eggs, to dip chips in, on top of burgers with melted cheese, and so much more. Here is a great recipe that will show you how to make and can salsa. Give a shot. You will be so glad you did. My kids love tomato soup. The only problem is, I don’t love the canned taste from the store bought kind nor do I love the preservatives. After making and canning your own tomato soup, you’ll never look back either. You can’t beat that fresh tomato taste in the dead of winter. This is what I do with most of my tomato harvest. Why? Because I am a soup girl, especially in winter. I could live off of the stuff. So crushed tomatoes go well with homemade chili, homemade vegetable soup, black bean soup, and my favorite, slow cooker chicken tortilla soup. Try them all, but first, can your own tomatoes so you can have a super fresh taste. I am not a huge fan of tomato juice, but my husband is. He can open a jar and drink it in one sitting. So if you are like him, then you’ll love making your own homemade tomato juice. For those that are like me, tomato juice is a great addition to homemade soups too. 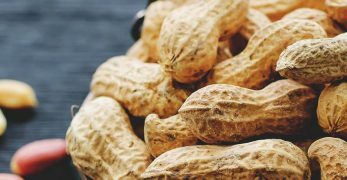 Here is a great recipe to help you in the making and canning process. So there you have it, folks. 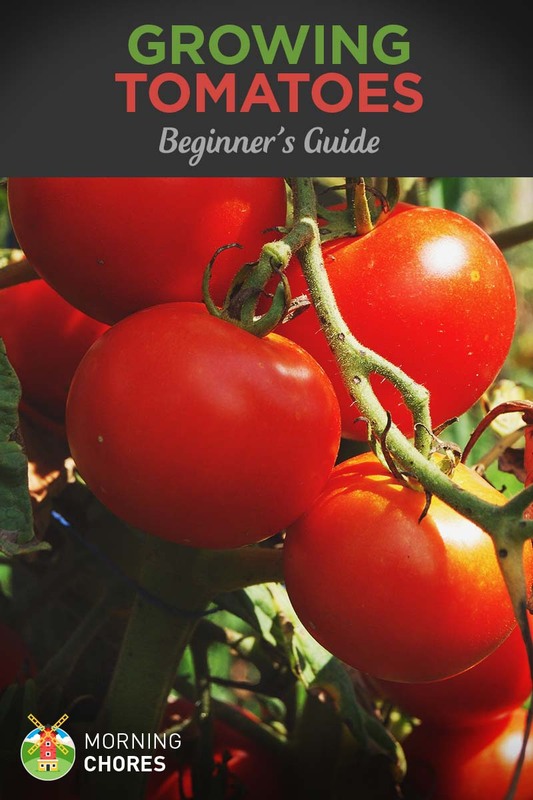 That is all you will need to know to become a tomato growing expert.